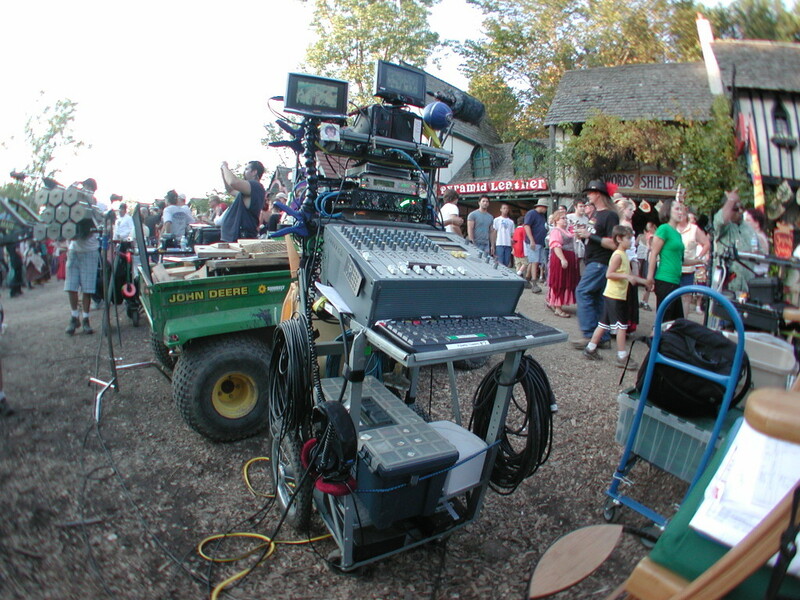 My husband mixed on location at the Renaissance Fair for “All’s Faire in Love” (2010). Here’s his sound cart set up. I wrote an article about the seven most common formatting errors I see on production résumés and it was published here at Production Hub. Then to my delight, the article was picked up and reviewed here at No Film School – with some more astute comments. Hey, I like this publishing thing. The truth is I do a lot of writing about how to fix résumés in general, and offer a lot of free tips both here on my site, on Facebook (lots of links) and wherever else I can publish articles. BUT when you send me your résumé to review and reformat, I take your particular credits, your work experience and your career goals as the foundation of my customized report. I love reading about people’s credits. I follow through on every item on your résumé, checking on the project, examining the other credits of people involved. How your credits are ordered on your résumé makes a difference. You want the first thing the UPM sees to be something impressive, or intriguing, or familiar – so that he or she keeps reading. Eventually you will have a whole body of work that will be impressive, but when you are first starting with very few credits, the trick is to appear interesting enough to want to interview. To learn more about my Résumé Review service, please read here. Scroll down for my fees, and student discounts. Previous How’s Your Portfolio Looking?